Fun on & Above The Water. 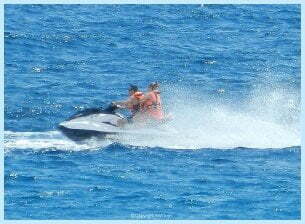 Carlos Water Sports Benidorm, has been established for over 30 years now, providing great entertainment and fun on, and indeed above the water, for all age groups! 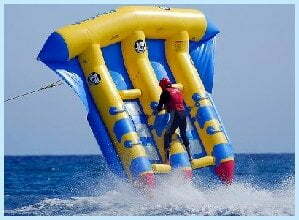 We employ only professionally trained and qualified staff ensuring safety and satisfaction. 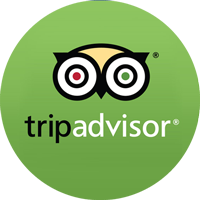 Operating from the middle of May until the end of October, 10am until 7pm every day. 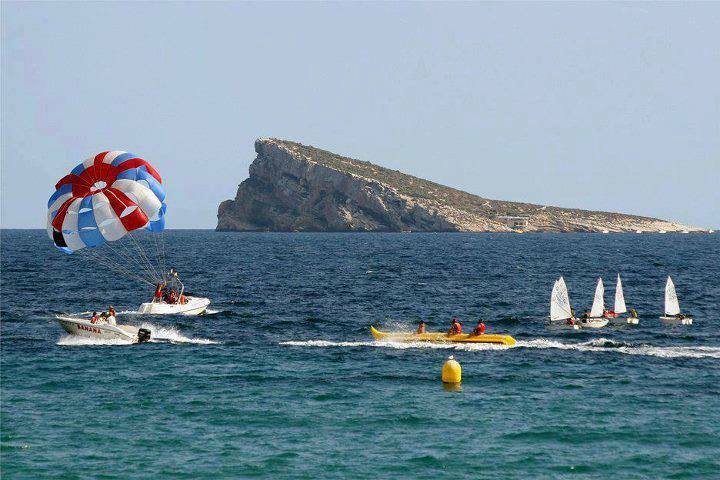 With Offices on the Levante beach and the Poniente beach, in Benidorm harbour. 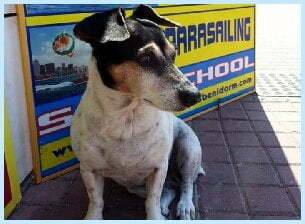 Our Outside Office On The Levante Beach – With The Staff, Carlos, Marisol, Lee and our beloved canine friend ‘Gypsy’ R.I.P. On Levante beach we can be found by our bright yellow tent, which is our open air beach office. 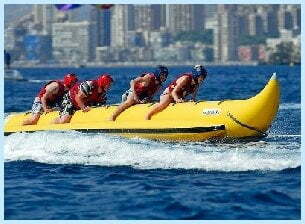 From this location we operate parasailing, banana boat, fly fish and Jet Ski. 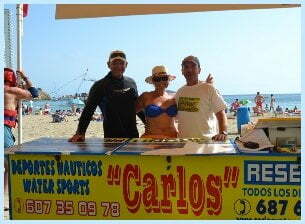 On Poniente beach we can be found at office number 4, in the Benidorm harbour. 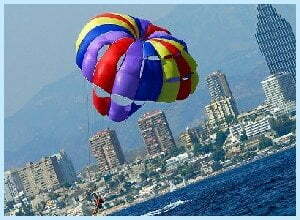 From this location we operate parasailing, banana boat, fly fish and Jet Ski.